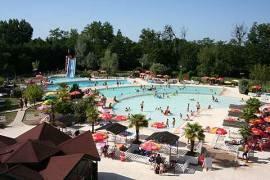 Monbazillac is located a short distance to the south of Bergerac. 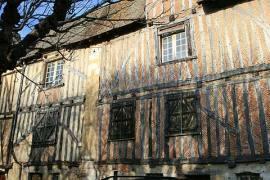 The castle itself is a listed historical monument, and dates from the 16th century. 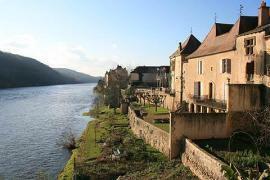 It is in an early Renaissance style, and is in an attractive wooded setting with far-reaching views across the region. 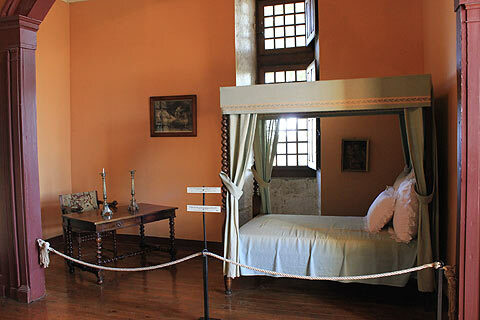 The castle contains some finely decorated rooms and apartments. 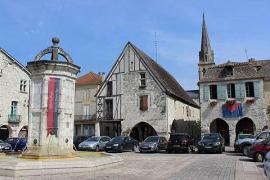 But it is for the wine that the Monbazillac region is best known. 3500 hectares of vines produce one of the most widely known (and most highly reputed) dessert (sweet) white wines in the world. Looking for other excuses to enjoy a glass of the wine - it forms an excellent accompaniment to the local foie gras, and a perfect aperitif if chilled. When you have parked your car in the lovely wooded parking area and set off for the castle the first view of the castle is superb. At the end of a long straight driveway it sits high above the surrounding countryside and its large round turrets and mass of pointy roofs and leaded windows give it something of a fairy tale appearance. 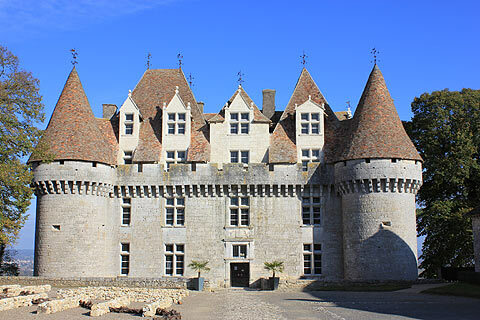 The chateau was built in 1550 and miraculously has come unscathed through the various wars and revolutions that have followed this period of history. 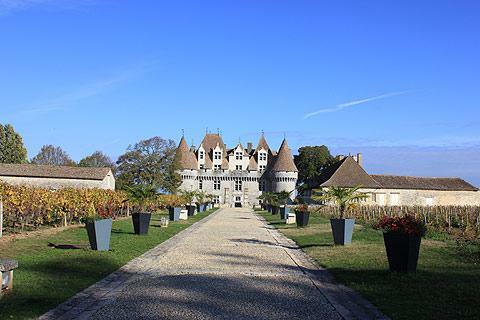 On visiting the Chateau de Monbazillac there are three floors to explore. 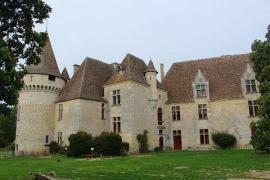 Whilst the chateau was built as a defensive chateau with towers, a moat, arrow slits and battlements, it incorporates the early Renaissance styles of architecture with large windows. The rooms, therefore are lovely light and airy rooms. 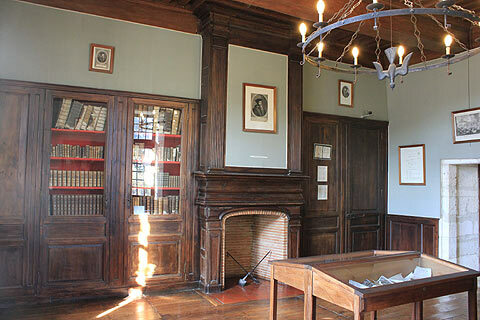 On the ground floor are the reception rooms with their beautifully polished wooden floors and 17th century furniture. 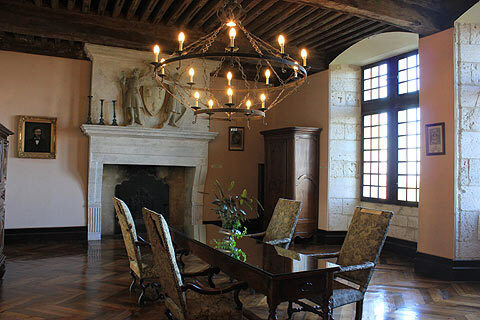 The main room on the first floor is the Mounet-Sully hall which contains some huge dark pieces of Italien-baroque style furniture which once belonged to Mounet Sully, a famous French actor who was born in Bergerac. Next to this room, in the tower, is a lovely collection of white porcelain from Limoges which also belonged to Sully. 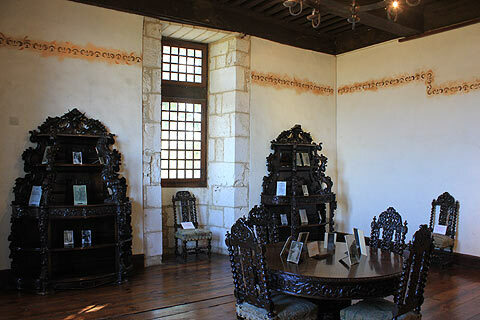 On this floor is also the Viscountess' bedroom, again with 17th century furniture and in the tower next to this are some wooden engravings with scenes of the Apocalypse. My favourite room on this floor is the SEM hall which is filled with original cartoons drawn by SEM, a famous caricaturist who was born in Perigueux. 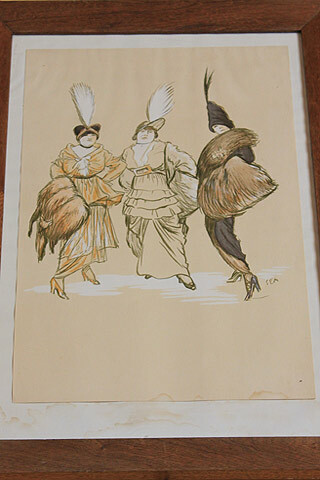 These are great cartoons of French gentlemen and ladies during the end of the 19th century. For those of you interested in SEM (real name Georges Goursat) there is a little museum of his at La Casssange near Saint Genies. SEM was responsible for the drawing on the menu of Paris' famous Maxims restaurant. As well as the room of SEM cartoons the 'Rodolph Germain Hall' contains changing displays of modern art by way of temporary exhibitions. The basement of the chateau gives you a chance to see row upon row of 'liquid gold' - Monbazillac's famous sweet white wine. 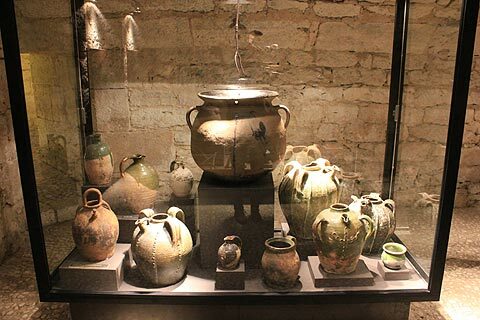 There is a small museum of wine related tools and you can also see the chateau kitchens and some wonderful huge pottery storage containers. Not surprisingly after your visit there is a cave where you can sample the wines, and plenty of opportunities to purchase some. Wandering round the castle from the outside offers some great views over the surrounding countryside. 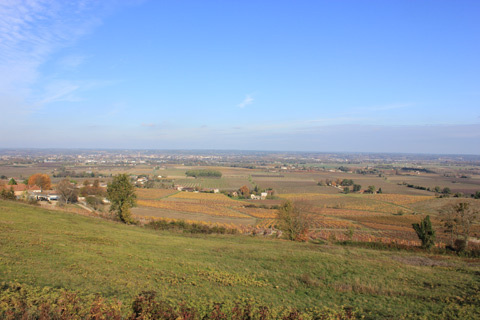 Near Monbazillac, there are good views across the region from the remains of the windmill at Malfourat. There is a restaurant here called 'La Tour des Vents' which is a popular gourmet restaurant, good for celebrating a special occasion. It has one Michelin star. Especially good when you can sit out overlooking the view. If this has wet your appetite for more information about the local wines, or more sampling, visit the 'Maison du Vin' next to the river in Bergerac. 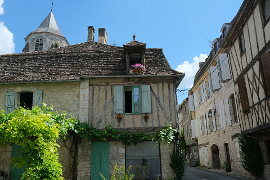 Monbazillac is not far from the lovely medieval village of Issigeac and the popular bastide town of Eymet.